No matter Samsung using cheap plastic or not you have to admit there smartphone is well designed for everyday usage. I am always a fan of their removable back with changeable battery and microSD swap. 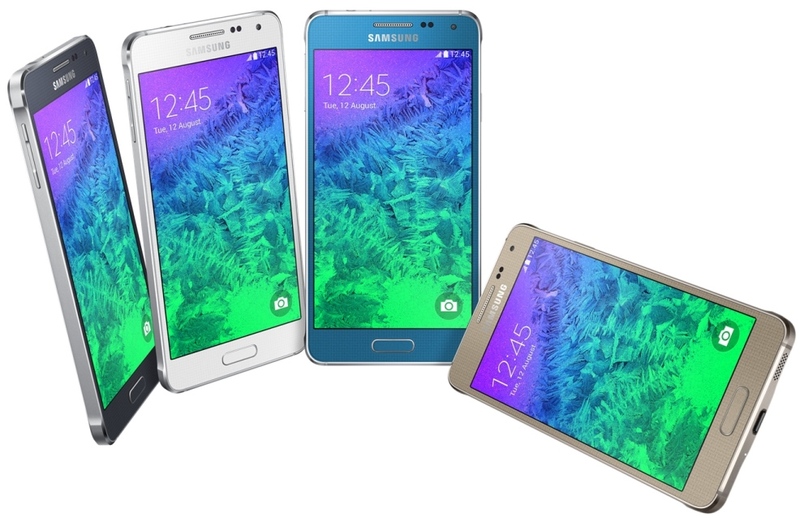 And Samsung Galaxy Alpha is the first introduction by Samsung to change all these a little bit. Instead of tacky chrome accents on cheap plastic, the Alpha has a real metal frame. It looks an awful lot like a smaller and thinner Galaxy S5. Also the way that it feels is dramatically different. 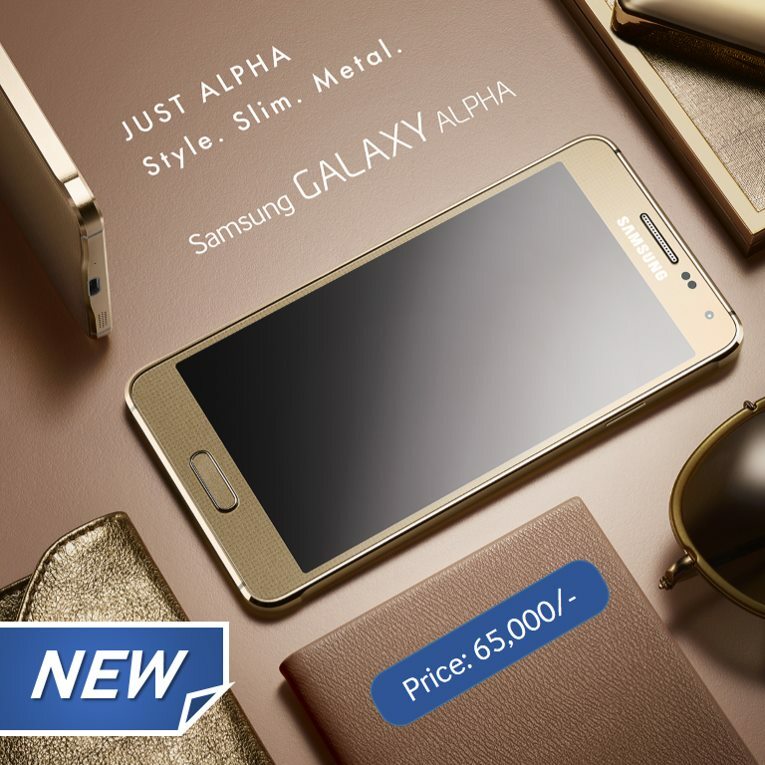 The Alpha is, therefore, aptly named as the inaugurator of what may be a brave new era for Samsung. Samsung has built its throne as king of Android devices on a foundation of high specs and low prices. The Galaxy Alpha doesn't fit neatly into that equation, as it's priced like a full flagship phone while missing a couple of the major selling points of such devices. The smartphone runs Android 4.4 KitKat operating system and features a 4.7-inch Super AMOLED capacitive touchscreen with 720p 1280 x 720 pixels screen resolution which produces an effective pixel density of 312 PPI. 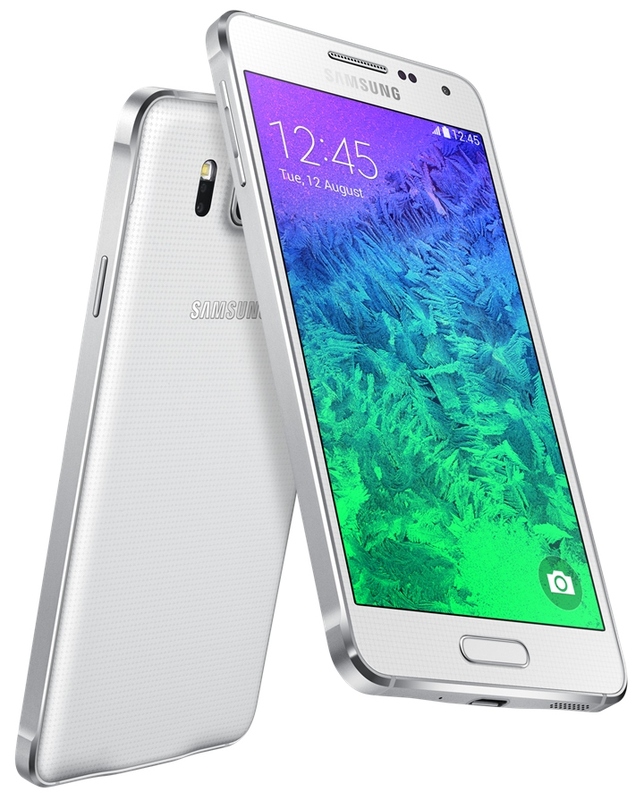 The Samsung Galaxy Alpha which competes with the Apple iPhone 6 has a plastic back panel surrounded by a metal rim. The screen on the device has Corning Gorilla Glass 3 protection. The smartphone is powered by an octa-core Exynos 5433 processor with Mali-T628 GPU. In terms of memory, the device has 2 GB RAM coupled with an internal storage capacity of 32 GB. The storage capacity cannot be enhanced further as the device suffers from the absence of an external microSD card slot. The smartphone is available in four colour variants, namely Black, Blue, Gold and White. Samsung Galaxy Alpha also has an FM Radio and comes with Samsung's TouchWiz User Interface on top. Further the device is IP67 certified which makes the smartphone dust-proof and water-resistant. In the imaging department the device comes with a 12-megapixel rear camera with LED flash and a 2-megapixel front camera. The camera supports dual-shot, face and smile detection, image stabilization, etc. The camera is capable of recording Full HD videos. Most importantly, the device ships with exclusive features like SHealth and a Heart Rate sensor just like Galaxy S5. In terms of safety, the device sports a Finger print sensor which keeps your data safe and secure. The user can register up to 3 fingerprints to unlock the device. In the connectivity forum, the smartphone has 4G LTE support that promises faster connectivity along with Wi-Fi 802.11 a/b/g/n/ac, Wi-Fi Direct, Wi-Fi hotspot, Bluetooth 4.0, Infrared, NFC and microUSB 3.0 port. The device is powered by a Li-Ion 3000 mAh battery which supports talk time up to 21 hours. The device is now available in Bangladesh for 65,000 taka or $840. As always you will get 2 years of warranty with every original device. In the meantime you can also take a look at Galaxy Note 4 which is 80,000 taka (1030).